Categories can be archived to remove categories from your account, while having the option to restore them later on. When archived and restored, all of the historical information will remain. 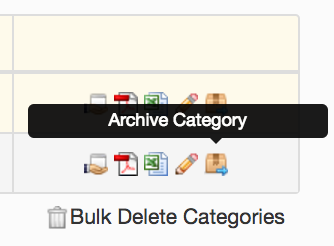 To archive a category, simply click on the box icon to the right of your category on your dashboard. To restore a category, simply access your graveyard section.